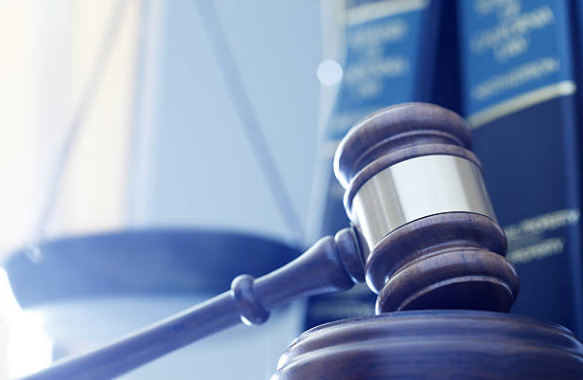 The Commercial Court in England and Wales recently determined that any right to litigation privilege can only apply to a person that is a party to the actual proceedings or litigation, and not to any other person that may be controlling the litigation. In Minera Las Bambas SA v Glencore Queensland Ltd., the court examined whether a party can claim litigation privilege over documents arising from proceedings controlled by that party under a “conduct of claims” clause. The defendants claimed litigation privilege in respect of documents it prepared in contemplation of proceedings in Peru. The proceedings in Peru were initiated by the claimants against the Peruvian tax authority. However, the defendants had, under a contractual right, assumed control of those proceedings. The claimants challenged the defendants' claim to litigation privilege. They argued that it was not open to the defendants to assert privilege in relation to proceedings in which the defendants were not a party and that only the claimants could assert such privilege. The defendants submitted that the privilege belonged to them in circumstances where they were “in all but name the effective party” to the proceedings in Peru. The court rejected the defendants’ argument that the person controlling litigation can assert litigation privilege against the party which it is controlling. Instead, the court accepted the claimant’s proposition that litigation privilege can only arise in favour of a person who is a party to the litigation in question. The court also added that even if it was “open to the defendants as a matter of principle to assert litigation privilege where it controls litigation of a party”, the defendants were exercising control in relation to documents created for use in other proceedings, to which they were not a party. As a secondary argument, the claimants had argued that even if the defendants could claim privilege over those documents, the claimants were entitled to inspect those documents on the basis of the parties’ joint or common interest. It was not necessary for the court to consider joint or common interest privilege in its judgment on the basis of its finding above. However, it is important to bear in mind that the Irish courts have held that there is no unique category of privilege known as common interest privilege – rather this description can be used to preserve legal professional privilege where the third party has a common interest in the subject of the privilege with the primary holder thereof. The Irish courts do not yet appear to have considered whether or not a person can withhold from another having a joint interest, a document that is otherwise privileged as against the rest of the world. The position in England and Wales is that, if two parties share a joint or common interest in the subject matter of a privileged document, then they may be entitled to assert privilege as against the rest of the world but not against each other. However, what is unclear is whether common interest privilege can apply to documents created at a time when the relationship between the parties has broken down. The defendants had submitted that common interest privilege could not arise because the parties were already in dispute when the documents were created. The Court did not determine this issue. This decision is important for any non-party who controls litigation pursuant to a contractual right or an insurance policy as it calls into question whether the controlling party might be able to assert privilege in any separate disputes with third parties. The doctrine of common or joint interest privilege may be relied upon if the two parties share a joint or common interest in the subject matter of an already privileged document. It might also be useful for a controlling party to include in its agreement with the party to the litigation, a clause requiring that person to assert if necessary any litigation privilege which might arise in any separate disputes between the controlling party and third parties.